Cilantro and Mint Chutney | IndianLife Foods Inc.
One of the world’s most charismatic condiments, chutneys are spiced relishes made of fruits or vegetables, roasted Indian spices and herbs that were traditionally ground with a stone mortar and pestle called an ammikkal (Tamil). 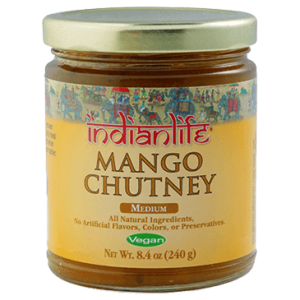 Indianlife Chutneys are enticing, sweet and savory blends slow-simmered from time-proven family recipes. 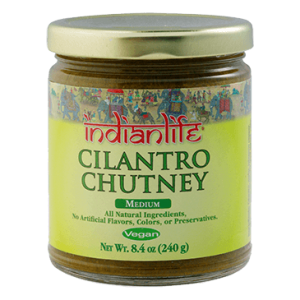 Indianlife chutneys stimulate the senses and excite the taste buds to make any meal more interesting. 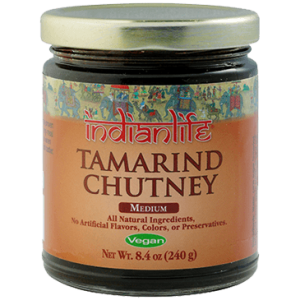 Chutneys are traditionally a part of every Indian meal. 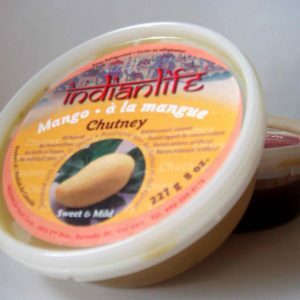 Pair Indianlife Chutneys with Indianlife Rotis, Chapati, Paratha and Naans. Enjoy them in salads, on sandwiches, cheese, as a dip and more. 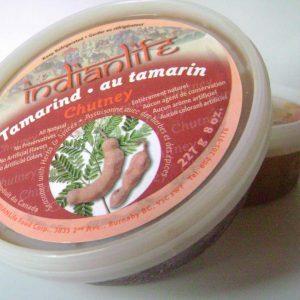 Tamarind is the traditional choice for Samusas and Pakoras. 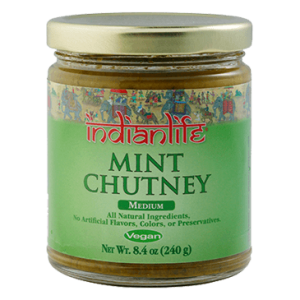 Spice up meals with sensational Sweet Mango chutney, cool charismatic Mint Chutney, Spicy Cilantro Chutney or Cilantro-Mint. Or serve each variety “salad bar style” to create a sumptuous Indian feast.